The University of Chicago is a world-class institution with deep roots in its local community and a commitment to internal ethnic diversity. 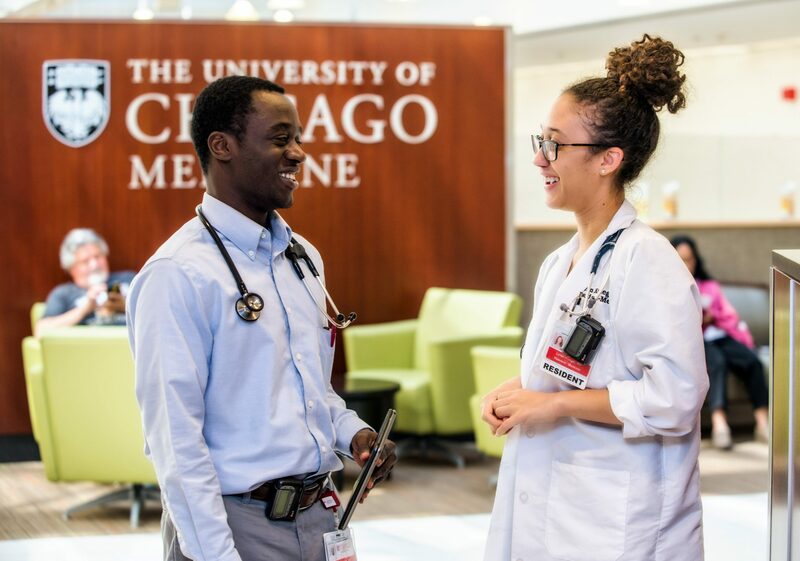 We recognize the benefits and importance of a diverse faculty and house-staff and are committed to this University-wide goal by working to increase diversity within the University of Chicago Internal Medicine Residency Program. Internationally renowned for breakthroughs in medical research, leading-edge practices, and state-of-the-art facilities, the University of Chicago is heralded locally for involvement with, and accessibility to, its neighbors. As a mainstay in historic Hyde Park since 1892, the university has proudly hosted, healed and educated the area’s dynamic population for generations. Hyde Park is a vibrant, socio-economically diverse, predominantly African American community. At the University of Chicago we are honored to serve a truly diverse patient population that includes the residents of Hyde Park, patients from many other neighborhoods throughout Chicago and its suburbs, and patients referred to our medical center from throughout the Midwest. 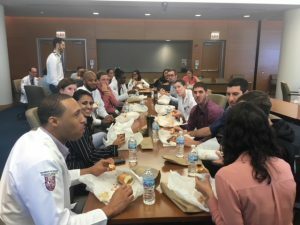 The Medicine Visiting Clerkship Program (MVCP) is sponsored by the University of Chicago, Department of Medicine’s Diversity Committee. 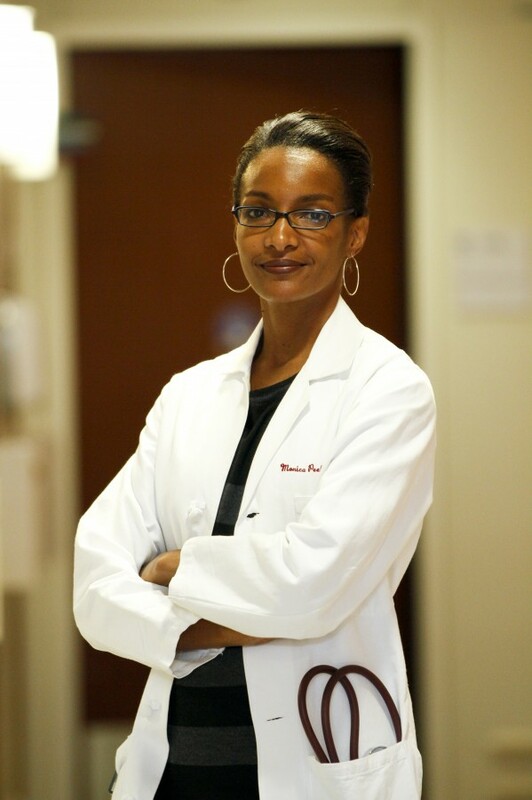 This program provides support for fourth-year U.S. minority (African American, Native American or Hispanic American) medical students to participate in a Department of Medicine subspecialty rotation or an Emergency Medicine Clerkship rotation through the Pritzker School of Medicine, Visiting Student Program. Clerkships are four to five weeks in length (calendar months) and are available, space permitting, to full-time fourth-year students that are U.S. citizens in good standing at LCME accredited US medical schools. MVCP participants are assigned a faculty advisor and offered opportunities to network with other University of Chicago faculty, house staff and students. More information to the Minority Visiting Clerkship Program can be found at the Visiting Clerkship Diversity Program site. A $1000 stipend is granted after the rotation has ended, to help defray the cost of housing and transportation. An application to the Pritzker School of Medicine must also be completed in order to do an elective rotation at The University of Chicago. Applications may be submitted through VSAS (Visiting Student Application Service via AAMC) starting on April 1st. For more information on VSAS, please visit AAMC-VSAS or contact VSAS at vsas@aamc.org or (202) 478-9878. The University of Chicago has many dedicated faculty members pursuing research in healthcare disparities from a variety of aspects. There are many opportunities for house staff or medical students to get involved with ongoing research.If you require further information or wish to be put in touch with any of the faculty, please contact Dr. John McConville, Program Director, University of Chicago Internal Medicine Residency Training Program. As part of ongoing efforts to facilitate access to our academic medical center by candidates of color, we are pleased to help raise awareness of this program announced by the NIH in 1989. As stated in the program announcement, it “was established to address the need to increase the number of underrepresented minority scientist participating in biomedical research and the health related sciences”. A large number of researchers in the Biological Sciences Division at the University of Chicago hold grants that are eligible for this administrative supplement. With respect to candidates for residency training, the supplement is ideally suited for 3rd and 4th year medical students (Pritzker or visiting) to support short-term projects here at the University of Chicago designed to promote exposure to health-related research. If you require further information or wish to be put in touch with physician-scientists here at the University of Chicago with a particular area of interest please contact Dr. John McConville, Program Director, University of Chicago Internal Medicine Residency Training Program. The academic year runs from July 1 through June 30 of each year. Most clinical electives start on the first weekday of each month. President of the University of Chicago Robert J. Zimmer’s diversity statement is found here. If you are interested in issues related to diversity or an interested minority applicant we welcome your questions. Please feel free to contact Dr. Shannon Martin and Dr. Amber Pincavage, Intern Committee Co-Chairs, by email at imr@medicine.bsd.uchicago.edu.